Brendan Leonard and fabric science humor. 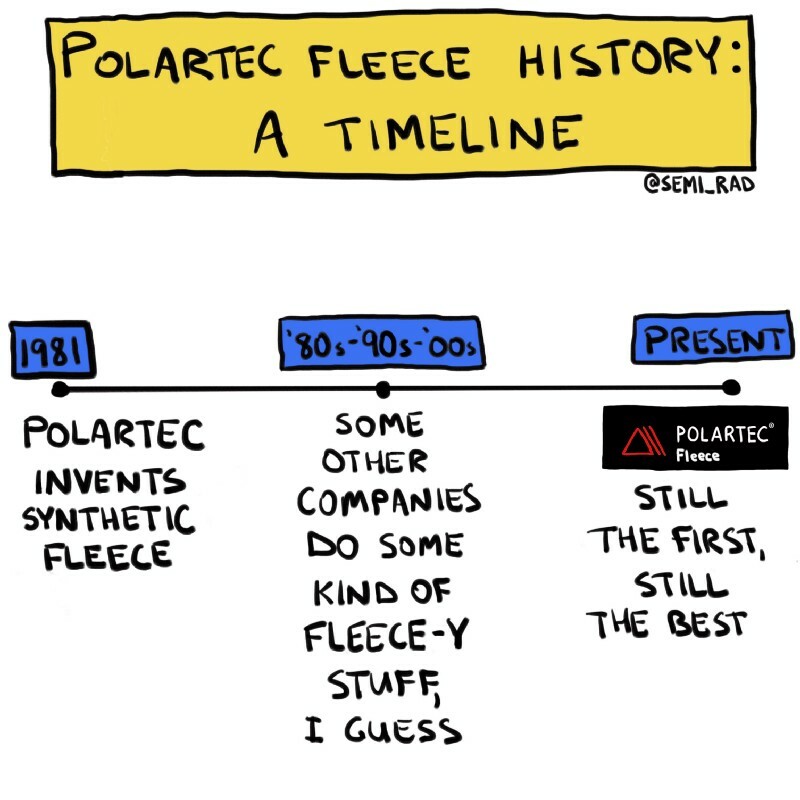 Polartec takes the Science of Fabric very seriously. Inventing innovative textiles is what we do, all day every day. But serious fabric science can be fun. Especially when our friend Brendan Leonard, the man behind Semi-Rad, makes it the subject of his cartoons. Since 1981, we’ve changed how people dress when they go outside. Polartec Classic Fleece is still the best for durability, lightweight warmth, and fast drying characteristics. Invented for the US Special Forces’ combat uniforms, Polartec Alpha insulation delivers adaptable warmth and breathability that eliminates the need for shedding or adding layers during active pursuits. 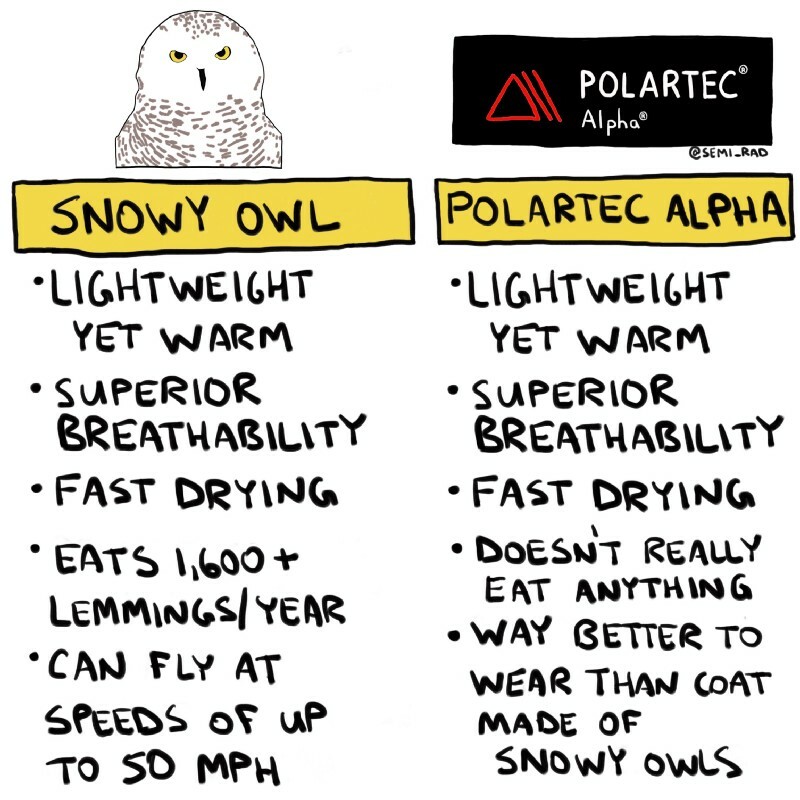 Trade that owl coat for a more innovative insulation solution. Hot, cold, or in between, the hybrid knit of Polartec Power Wool keeps you comfortable. Soft merino wool lays again the skin fighting odor and creating a regulated microclimate of comfort while polyester yarns create a durable exterior face. Even sheep are envious. Polartec Delta was created to better utilize the body’s natural cooling process, aka sweat. A proprietary knit of hydrophilic and hydrophobic yarns holds just enough moisture against the skin to cool while reducing that icky feeling of sweat-soaked skin cling. 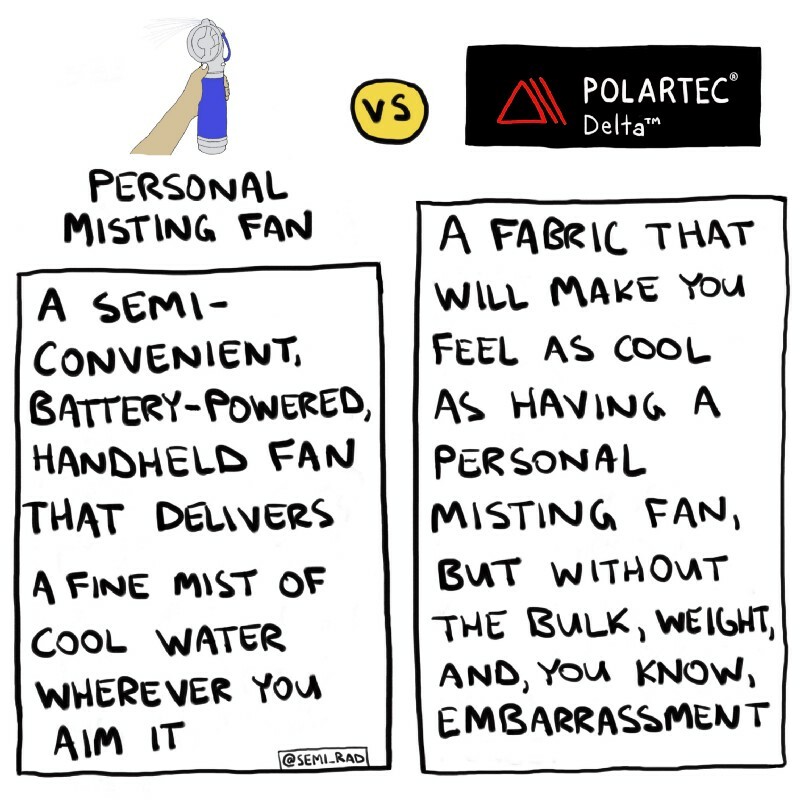 A better choice than a personal misting fan. Polartec NeoShell is an engineering breakthrough for waterproof breathable fabric. Dynamic air exchange provides the unrivaled ability to stop water and wind permeation without preventing the release of excess body heat and moisture vapor. Go for the center of the Venn diagram. 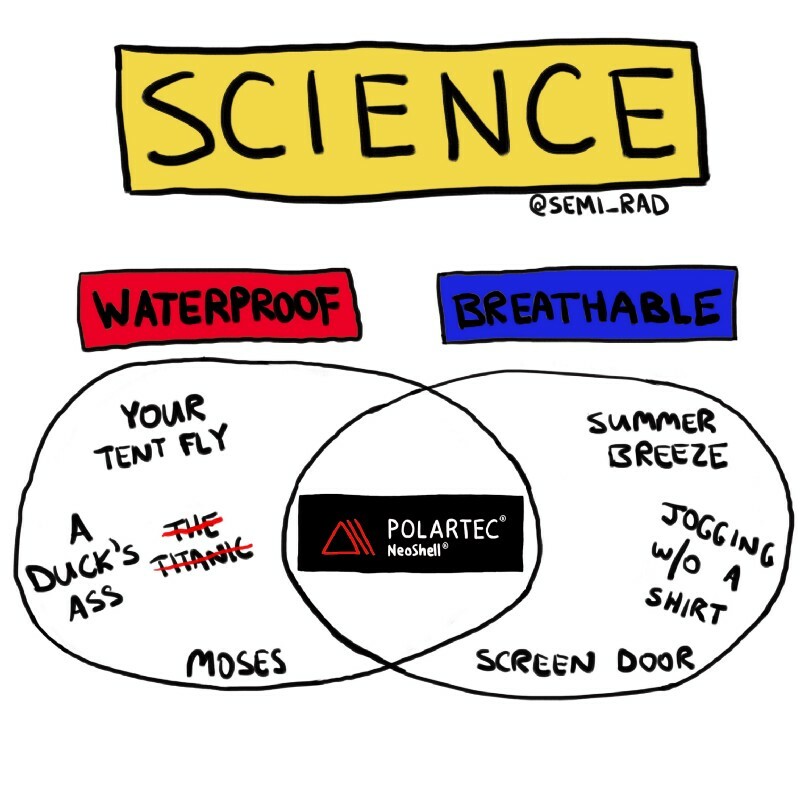 To see the newest Semi-Rad cartoons on Polartec fabrics first, sign up for our newsletter and follow us on Instagram.